Liberal Democrat staff are facing significant redundancies as the party has plunged into a funding crisis, BuzzFeed has reported. MOSCOW (Sputnik) - UK’s former deputy prime minister, Nick Clegg, confirmed Friday he would be joining Facebook after media said he was tapped as the social network’s new communications chief. The Independent launched its Final Say campaign earlier this week, seeking to pressure the UK government into holding a second Brexit referendum to give the electorate an opportunity to change its mind on leaving the EU. Jared O’Mara has explained his online outbursts as part of his ongoing mental health issues, however opinion on Twitter has generally welcomed his leaving the Labour Party. The splintering of the major parties in Britain has become a persistent problem as both the Prime Minister and the Opposition leader have committed themselves to implementing Brexit. When Tim Farron announced that he was standing down as the leader of the Liberal Democrats, he used the opportunity to make a very public point. Farron argued that it was "impossible" to reconcile his Christian faith with being the leader of a major UK political party. After Tim Farron fell on his sword, Britain's third party, the Liberal Democrats, are preparing for a leadership contest. One of the favorites is Jo Swinson, 37, who would be the party's first woman leader. As the last votes are counted in the UK general election, UK Prime Minister Theresa May is looking to have made the wrong call in holding a snap election in an effort to give herself a personal mandate to go into the Brexit negotiations with Brussels with a greater majority in parliament, which she has failed to deliver. UK Prime Minister Theresa May turned down "soft Brexit" offer from Germany, which in exchange stipulated an "emergency brake" over the issue of migration, former leader of the UK Liberal Democrats Nick Clegg said Tuesday. Pressure is building on the UK government over Prime Minister Theresa May's plans to pursue a "hard Brexit" from the EU, with MPs demanding they be given a say over the country's post-EU terms of negotiation - setting up a potential showdown between the government and lawmakers. Weekly spending on legal advisers worth 33,500 pounds ($44,800) a week shows that the British government is ill-prepared for Brexit talks with the European Union, former Liberal Democratic Party leader Nick Clegg said. 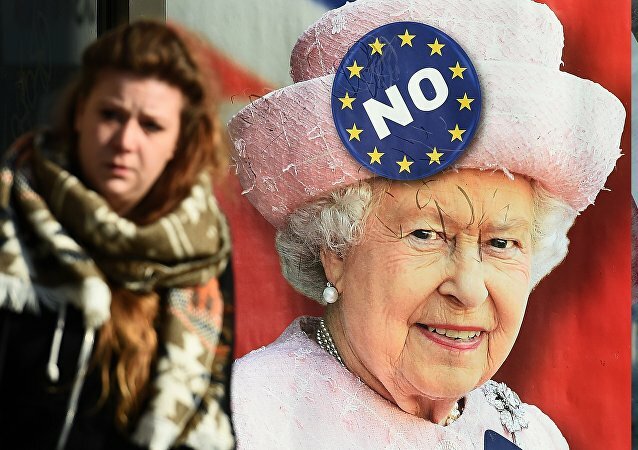 Queen Elizabeth has been dragged into the debate about Britain's membership in the EU, with a British tabloid claiming the monarch had expressed her deeply Euroskeptic views to MPs. Buckingham Palace denied the "spurious" claims, and has referred the newspaper to the UK's press watchdog. Former UK Deputy Prime Minister Nick Clegg on Wednesday refuted media reports that British Queen Elizabeth II told him she was in favor of the country exiting the European Union during his term in office. 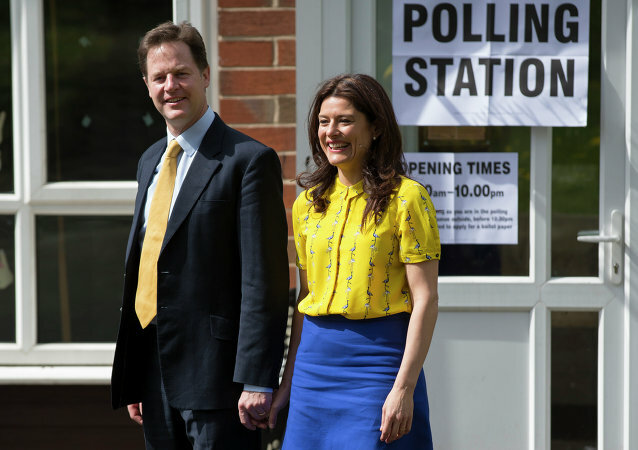 Clegg had consulted a number of senior colleagues on whether he impeded rather than advanced the Liberal Democrats’ message. 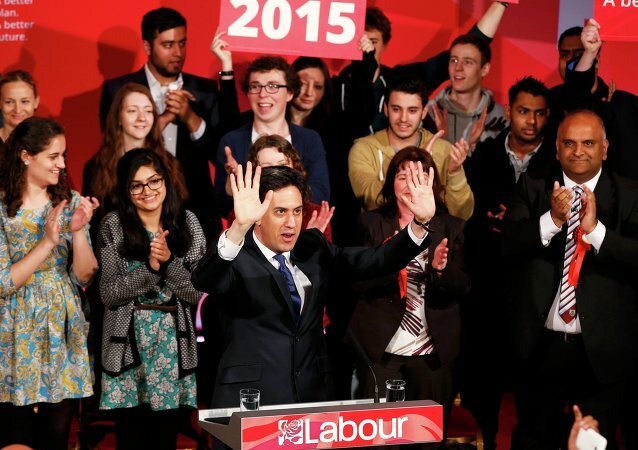 With half of the votes counted in the UK general election, the two major parties are still running neck-and-neck. The head of British Liberal Democrats has managed to retain his seat in the Sheffield Hallam constituency. 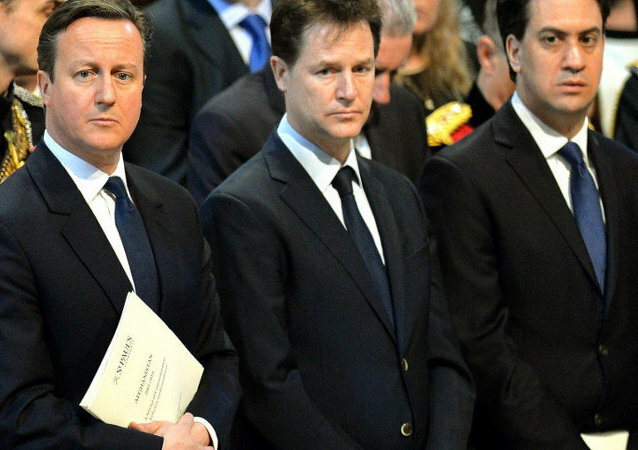 Director of the London School of Economics Craig Calhoun claims that the exit poll results from the UK general election suggest that Britain will most likely continue to have the same coalition government, but likely without the leader of the Liberal Democrats Nick Clegg. In the rundown to UK's general election, party leaders have been vigorously sharing their campaign messages on social media, reaching out to thousands of their followers/potential voters. And as election campaigning enters the final straight, party chiefs will be counting on every like and retweet. 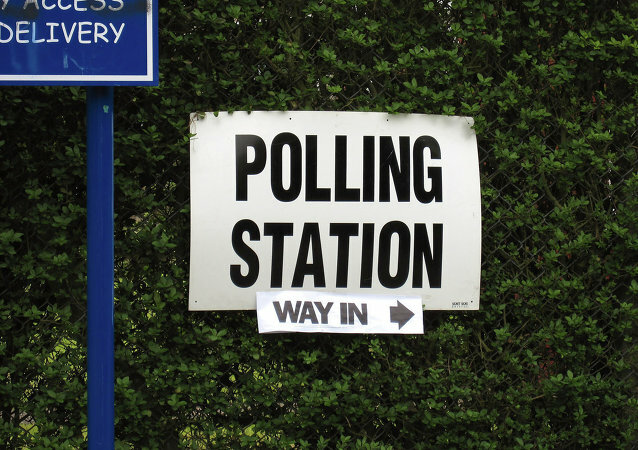 The UK is set for a massive shakedown of its election and voting system as the two main parties fail to make an impact, and voters reject the century-old two-party political structure.